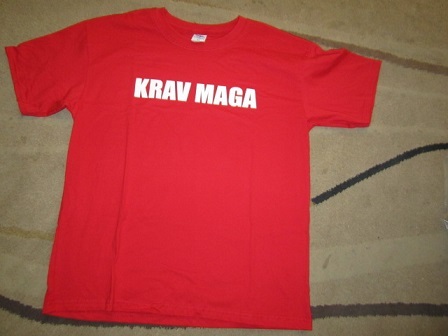 T shirts are available in most colors and sizes. 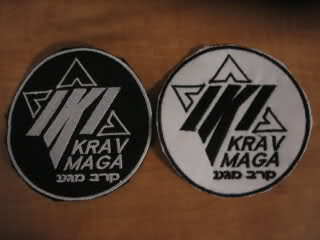 Top quality, made in Israel. 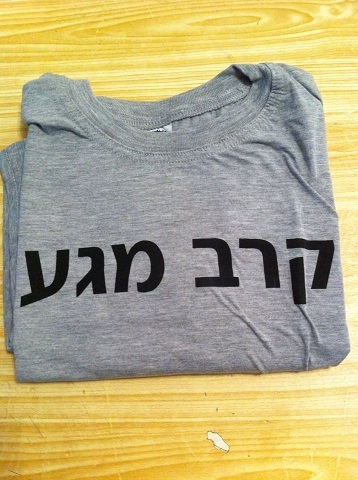 100% Cotton, grown on Israeli kibbutz. 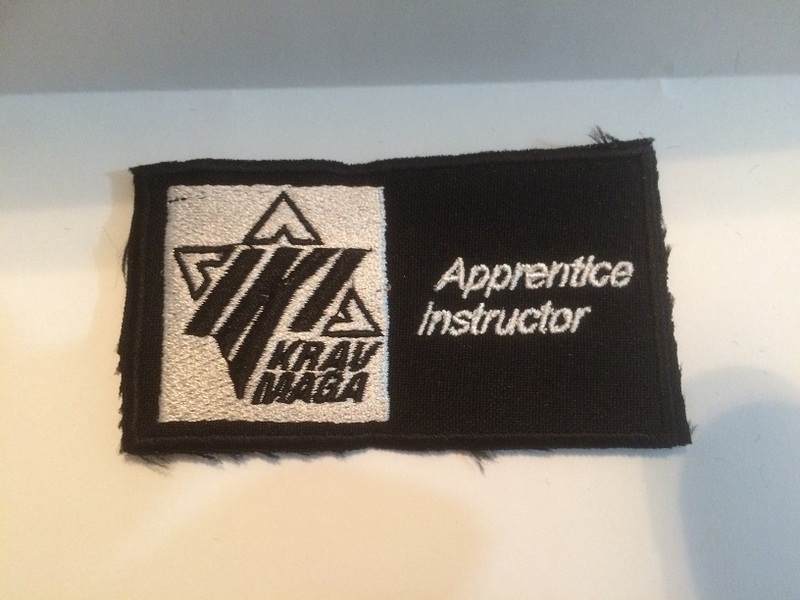 All workers in these factories are treated well. No child labor, no illegal labor. 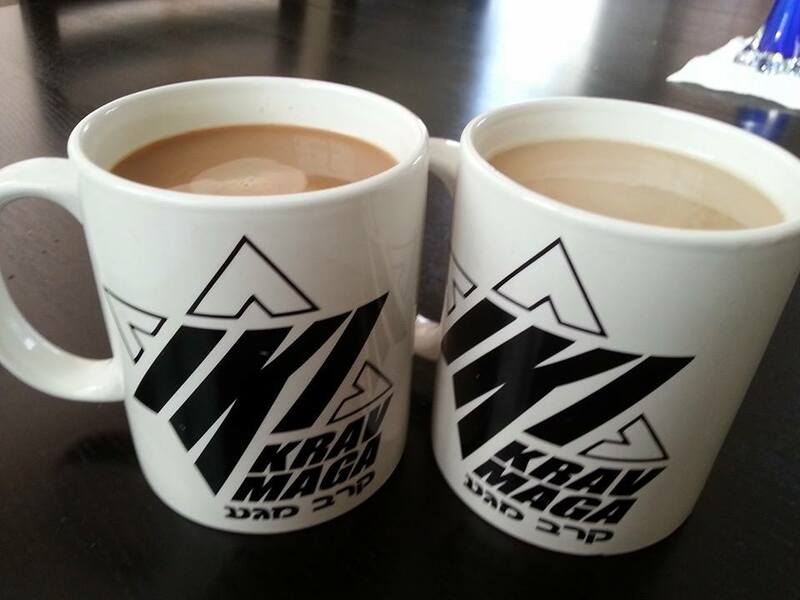 All hard working, tax paying Israeli coffee drinkers. We take pride in good honest hard work. Read about our T shirt factory. 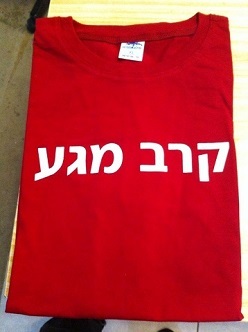 Design by Arie Katz, Bezalel Academy of Art, Jerusalem. 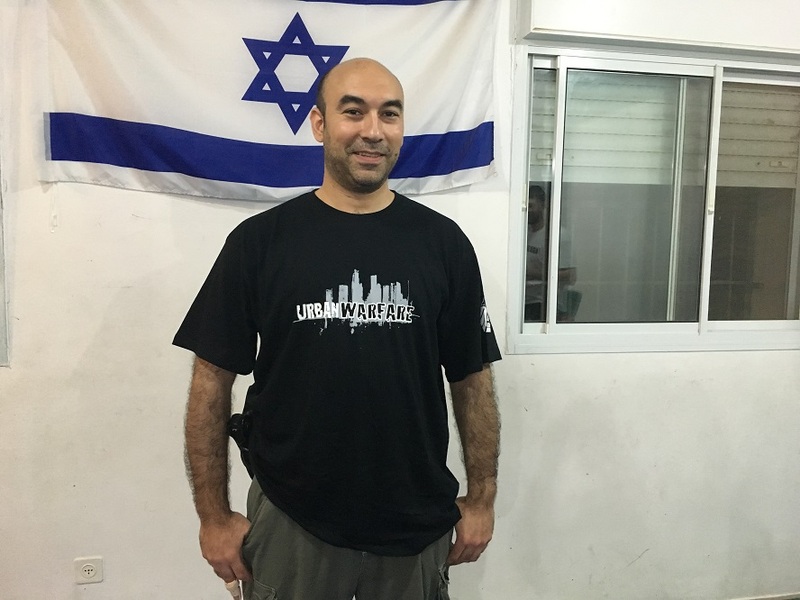 Arie is a paratrooper in the Israeli Army and served in the Second Lebanon War. He continues to serve in the reserves. 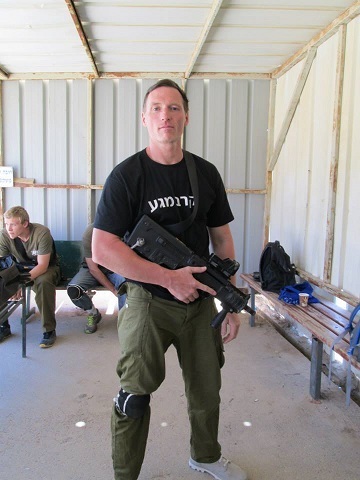 He was named for his great grandfather on his mother's side, Aryeh Leib of Poland, who perished in the Holocaust. Arie's grandmother was the only survivor of this family. The spark lives on. Arie is married to Liza from Germany. 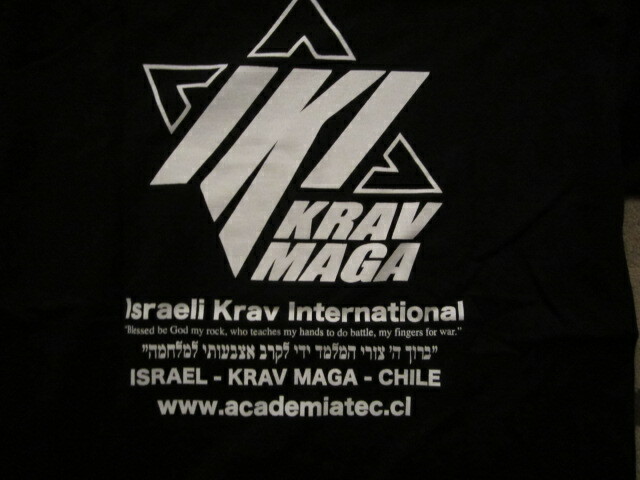 Arie's uncle is the founder of IKI Krav Maga. 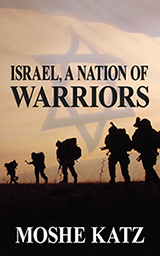 His grandfather was the late great Rabbi Paul M. Katz, son of Moe Katz of Brooklyn, New York, grandson of Max Katz of Poland and Brooklyn. 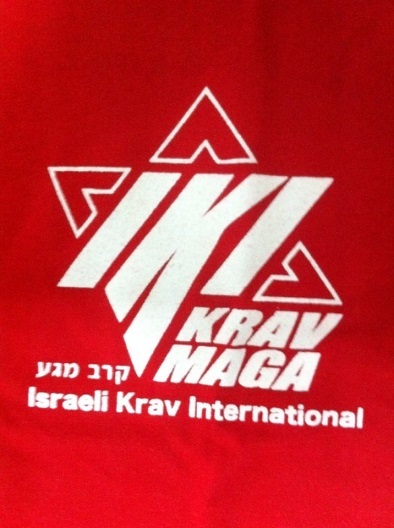 The logo combines the Star of David with the letters IKI (Israeli Krav International). 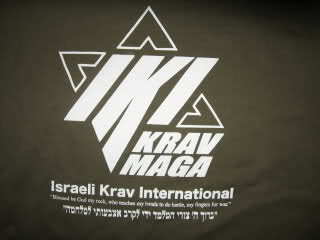 Underneath the logo is the verse from Psalms "Blessed be God my rock who teaches my hands to do battle, my fingers for war." 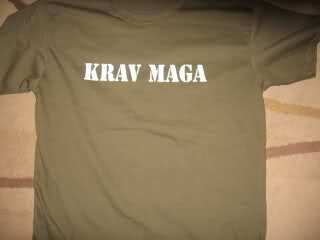 Our T shirts are of the highest quality in the industry. 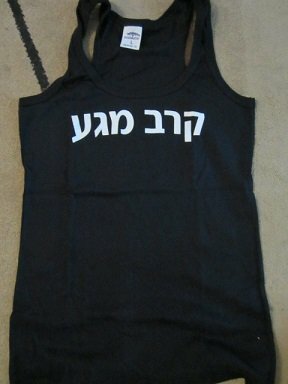 Israel is among the world leaders in the Textile industry. 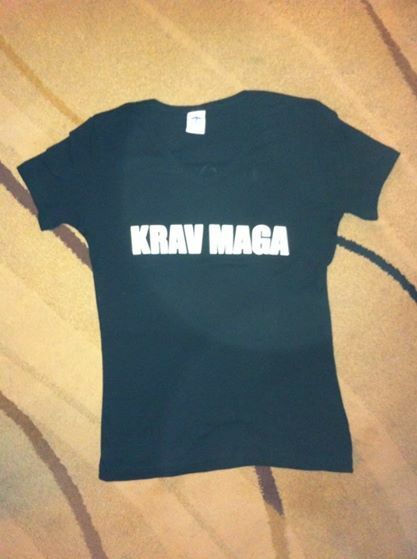 Each shirt is tested for shrinkage and the durability of the print. 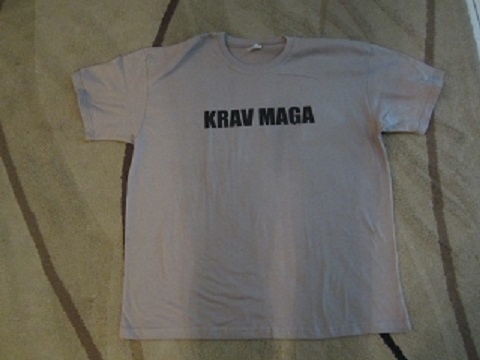 Western industry standard allows for 5-7% shrinkage, these T shirts shrink 2-3% maximum. 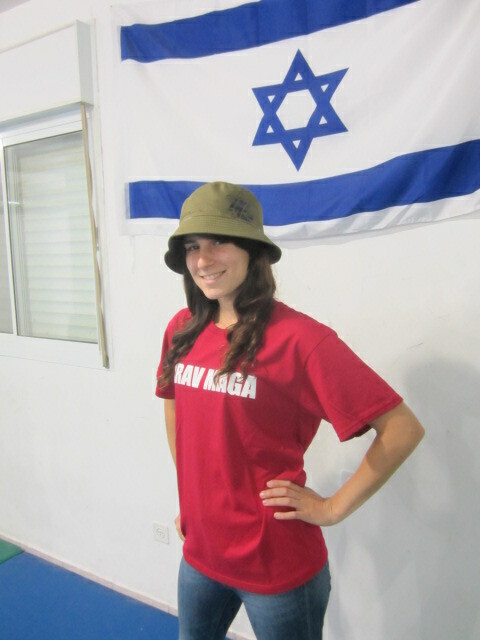 Americans Please Note: Israeli Shirts generally run one size smaller than the USA. I.e. 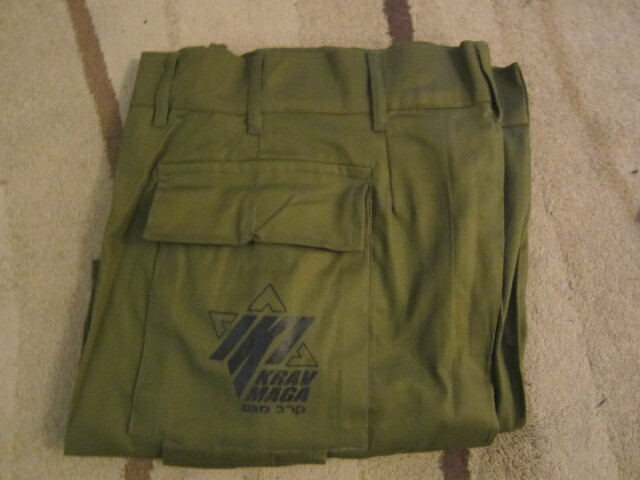 a USA Medium is an Israeli Large. 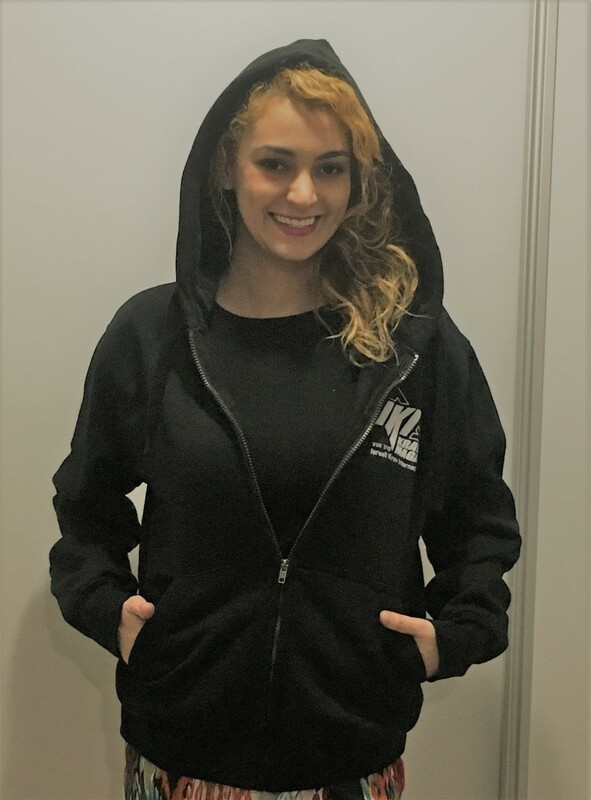 So if you normally wear an XL please order an XXL, and so forth. 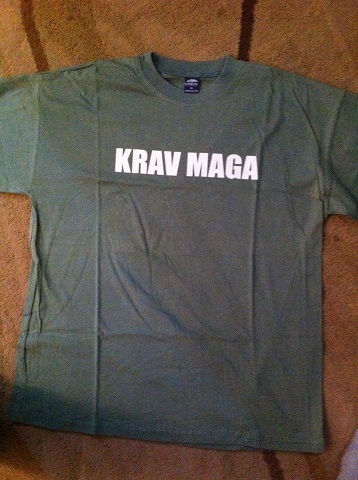 $16 plus shipping and packaging, Available only in Small and Medium, Large. Limited supply. 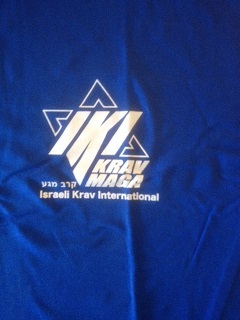 "KRAV MAGA" on front, IKI logo (Star of David,) on back. 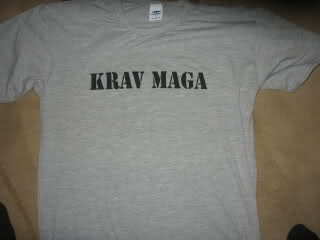 For sizes XXXL and larger - $19 plus shipping and handling. (For these sizes the color selection is more limited). Currently available only in XL and XXL. This is a lighter, more "faded" color than our olive green. 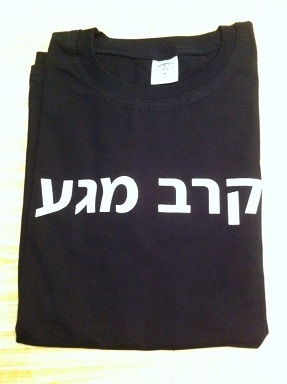 Standard IKI short sleeve T shirts with Krav Maga in Hebrew on the front. 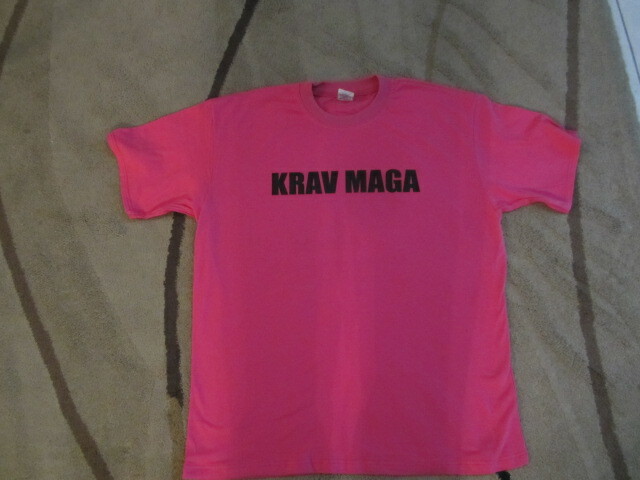 Small, Medium, Large $16 plus shipping. 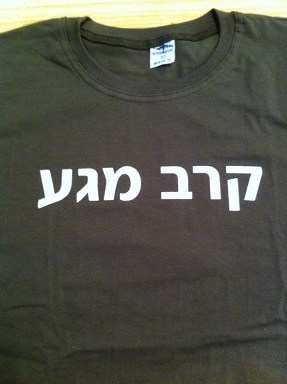 Female Cut Olive Green $21 all sizes. 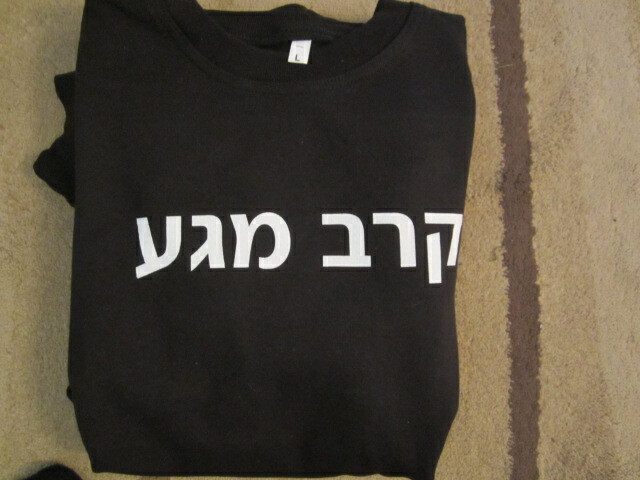 Please inquire if you are interested in long sleeves. 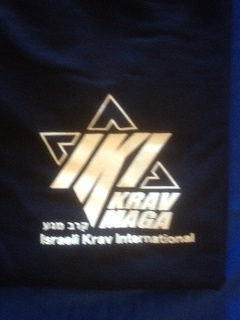 Back: Star of David standard IKI logo. Please send e mail (or use form at the bottom of this page) detailing sizes, style, and colors. 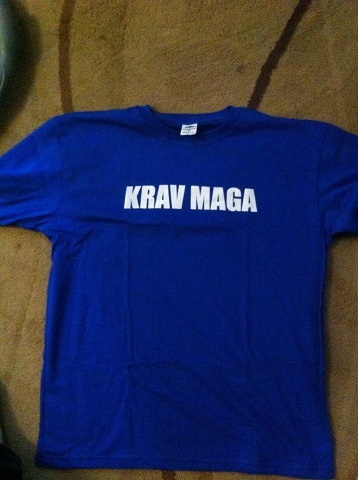 Shirts need not all be the same color but for a 20 T shirt order they must all be the same design. 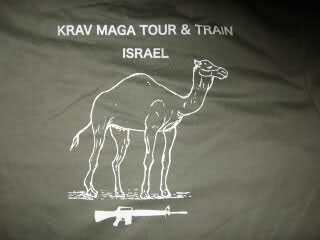 Tour and Train T shirt. 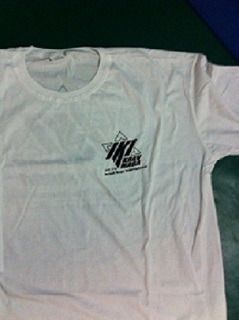 White or Black printing. $16 plus $3 shipping and packaging. 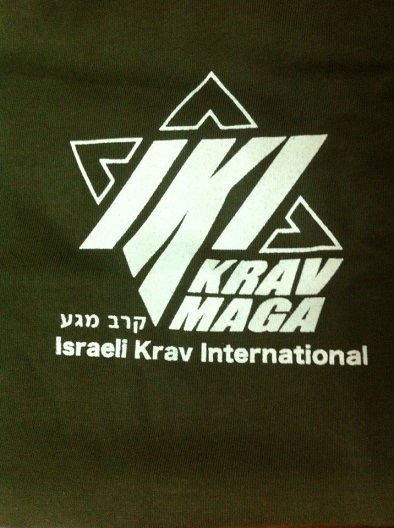 Have IKI Krav Maga T shirts with your school name, website, and phone number on the back. No extra charge. 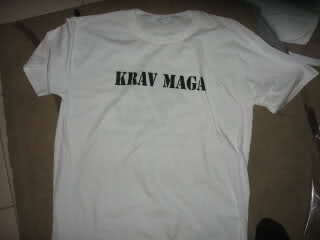 Minimum 20 T shirts. 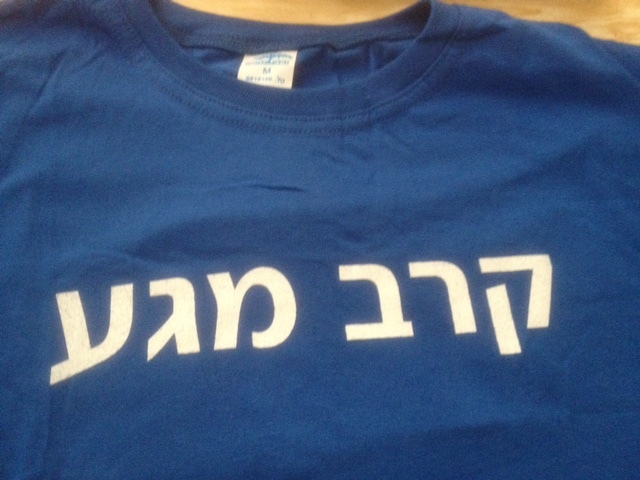 Send an e mail with your schools' details and sizes and colors of the shirts. 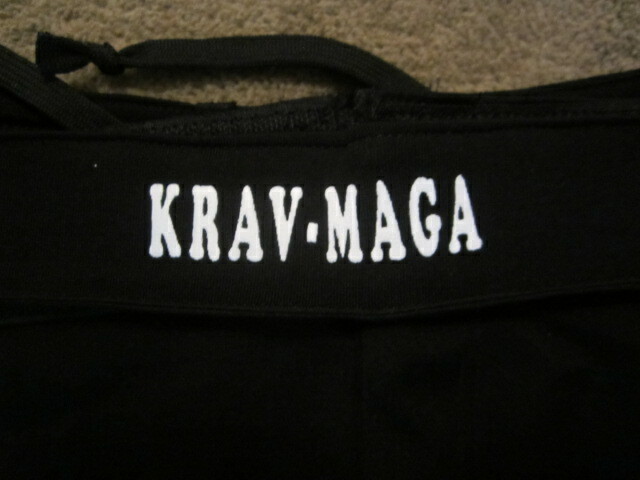 These are for certified IKI instructors only. 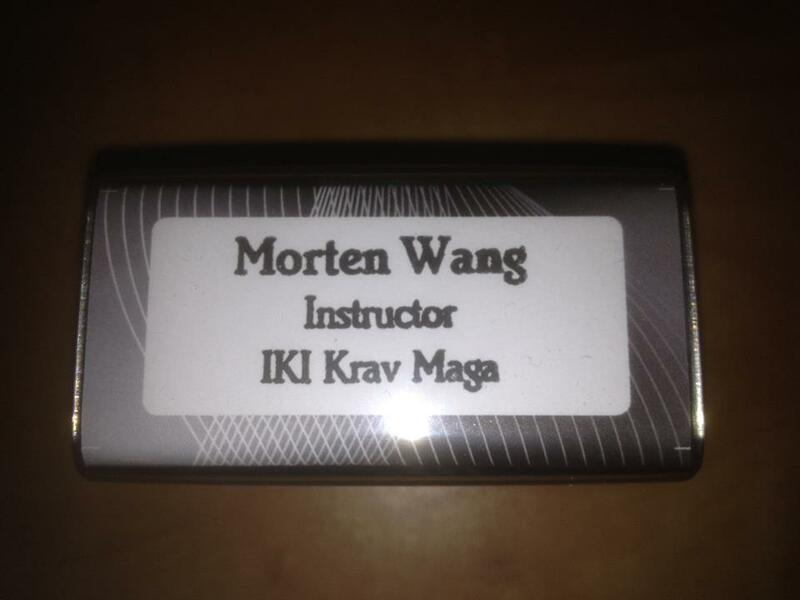 To become an instructor please first join IKI and begin training. 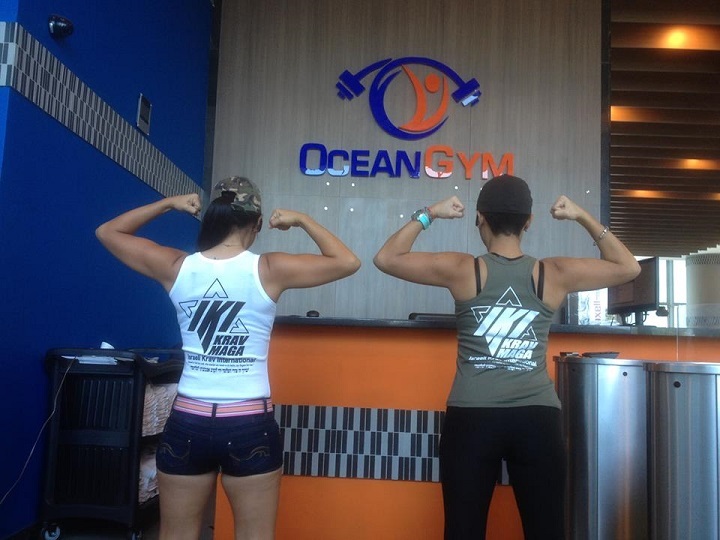 Training attire designed by athletes for athletes, great fit, allows comfort and mobility. 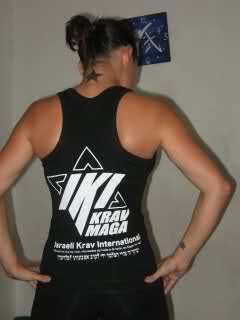 Sizes: Youth (XS), S, M, L, XL, XXL, or indicate waist size. 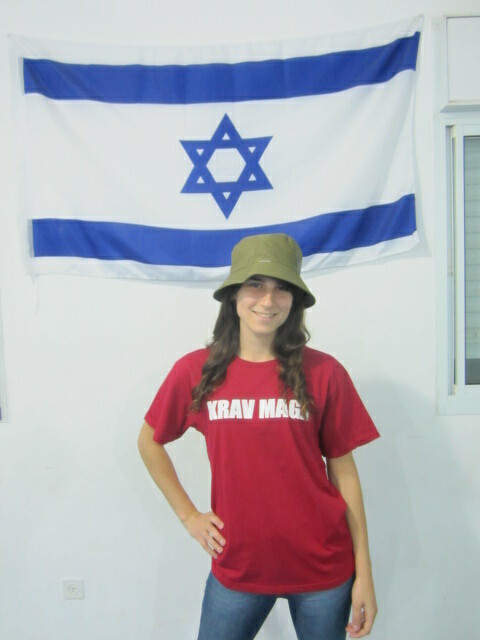 Michal modeling IKI hat and T shirt. 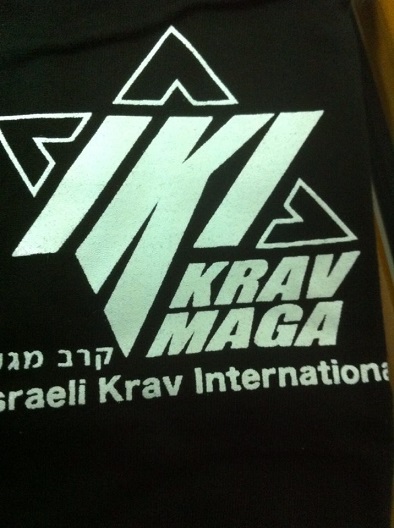 Top quality, made in Israel. 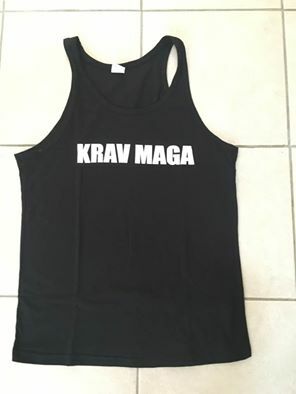 $39 plus shipping. 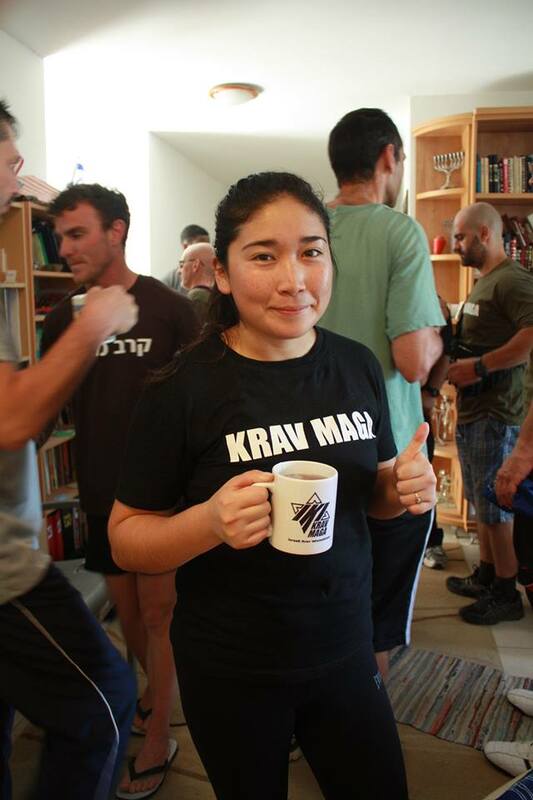 Yuriko enjoying a cup of coffee during Tour and Train. 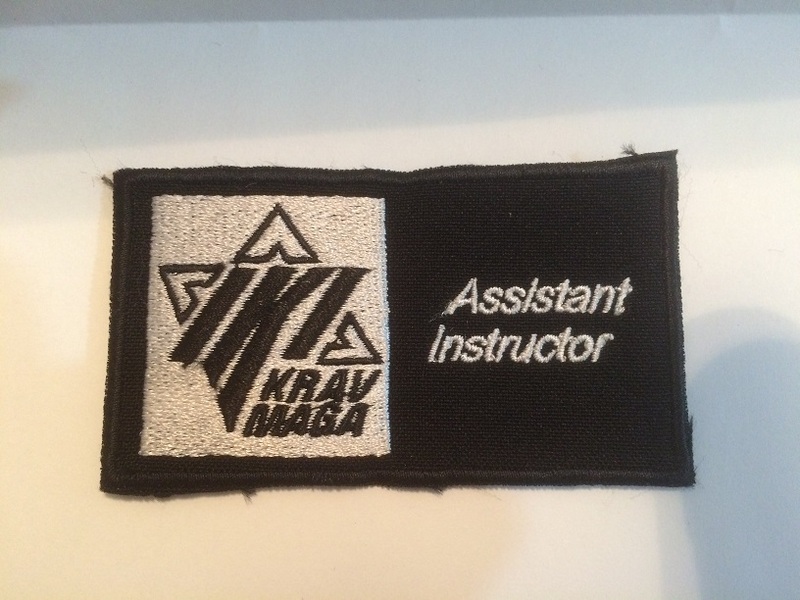 She teaches a wide range of exercise and fitness classes such as Pilates, body sculpting, aerobics, aqua, Krav Maga, and more for over 20 years. 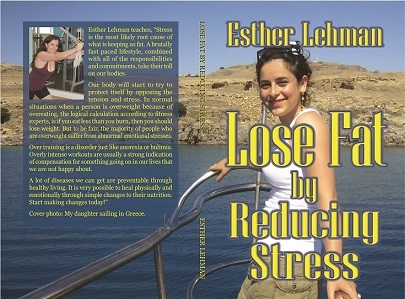 Esther believes that the body is a mirror of all thoughts. Thinking positively, with kindness and even respect, people will have a great opportunity to allow positive changes to occur in their self-perception and general health and wellbeing. 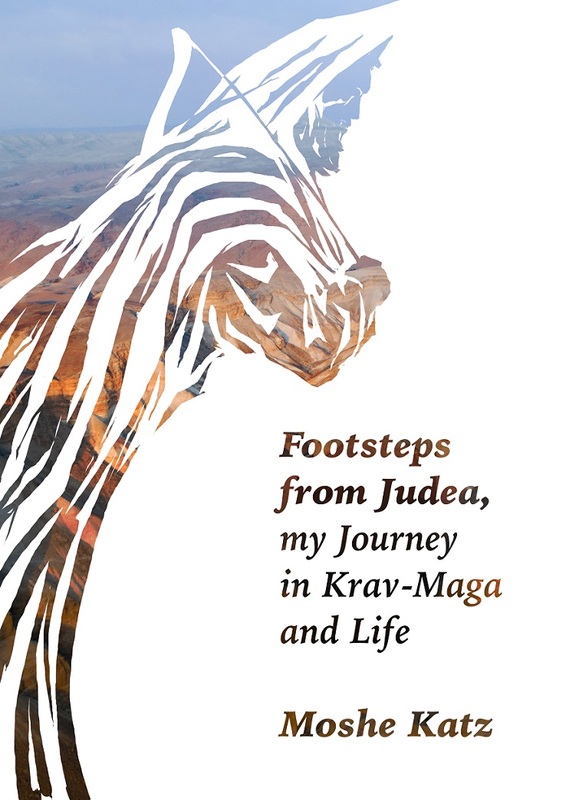 The purpose of this book to help people achieve their goals and change their life around. 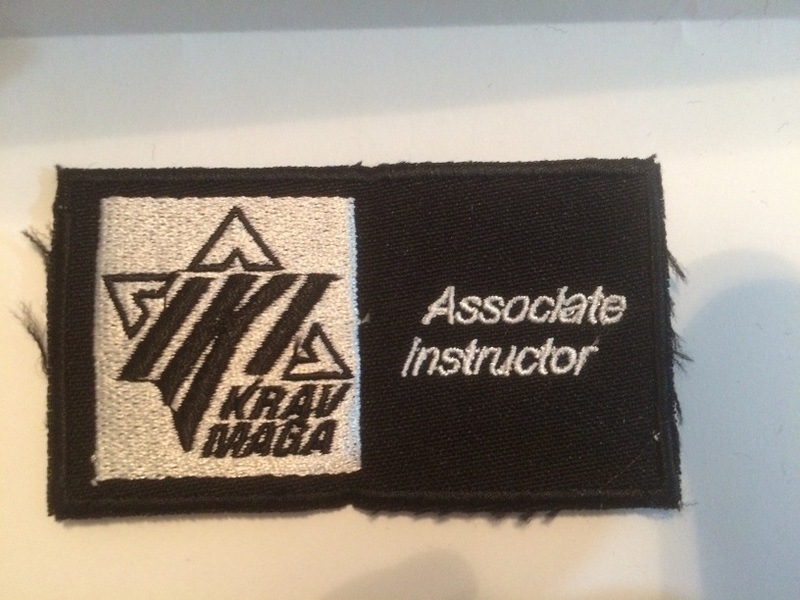 Rank Certificates, signed, $10 each. 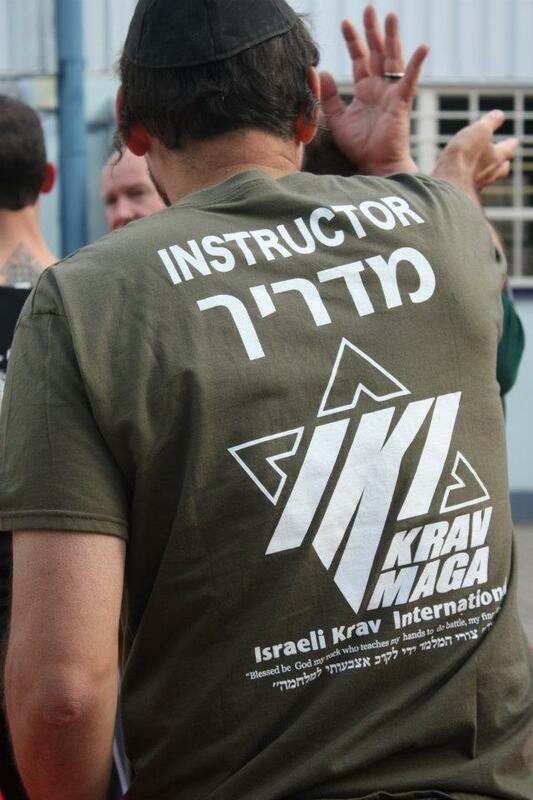 Promote your students with IKI diplomas from Israel, in English and Hebrew. 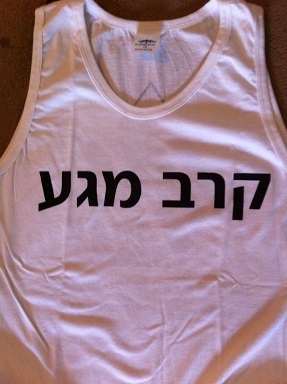 Moshe will fill in students names in both languages. DVD in bulk; 10 DVDs $100 plus shipping and packaging. 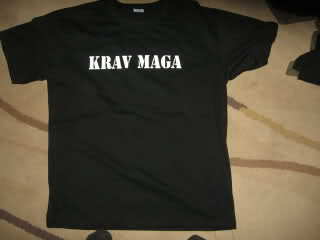 Contact - For T shirt sizes, colors, styles etc, or any information.